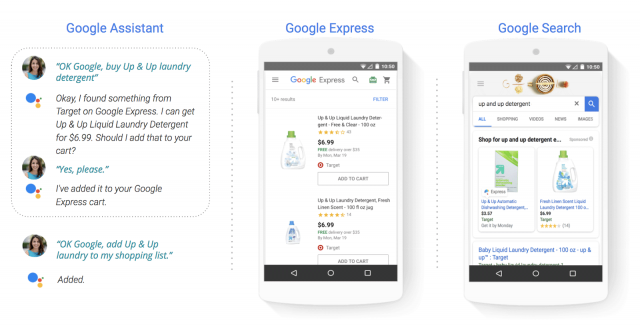 Google announced this morning the introduction of Shopping Actions. Google say this program "gives customers an easy way to shop your products on the Google Assistant and Search with a universal cart, whether they’re on mobile, desktop or even a Google Home device." Before Google announced it, Reuters published an article that got a lot of attention but confuses the topic. This is not exactly correct. The Google blog post explains that this is a Google Shopping feature, an ad feature, not an organic feature. Yes, this works across Google Assistant with voice shopping. Shopping Actions uses a pay-per-sale model, meaning you only pay when a sale actually takes place, Google explained. I'm checking on this, but I'm 99% sure that Reuters used "Google Search" as shorthand for "Google Shopping" which isn't organic search at all. You're making an assumption that isn't confirmed and almost certainly isn't right. I'll come back more in the AM. Techmeme has a lot of coverage on this but sadly, the confusion is already out there. The big news, this is really Google's first big push into voice shopping and it was layered in so much confusion.